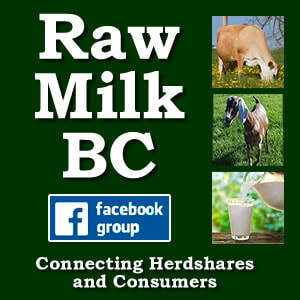 ​INTERESTED IN LEARNING MORE ABOUT THE RAW MILK COMMUNITY IN BRITISH COLUMBIA? 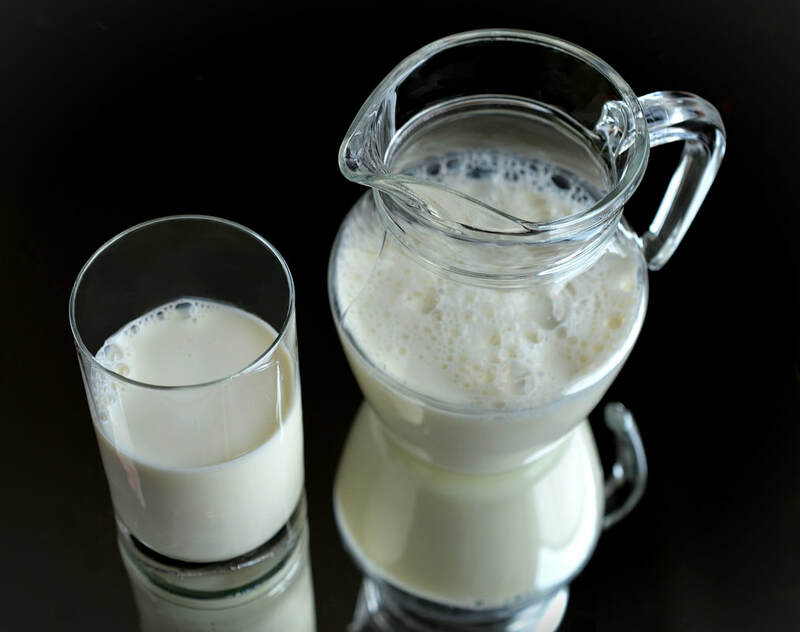 Are you a health-conscious consumer who is looking for a source of raw milk in BC? Are you an agister or member of a herdshare that has room for new members? This facebook group is a place to connect - become a member! Small local dairies boost the economy and selling milk, butter, cheese and cream can actually be what saves the family farm. Thirty years ago in British Columbia there were over 4,000 dairy farms. Today there are roughly 480 and declining. One small farm can easily employ five full-time staff and more. Cows on small dairy farms eat their natural food - grass. Grazing animals are shown to regenerate soils as nature intended, unlike the cruel CAFO system that causes soil loss and climate concerns, and relies heavily on GE monoculture using toxic agricultural chemicals to produce unhealthy, unnatural feed. The British Columbia Herdshare Association is a legally-incorporated non-profit society serving the herdshare community of British Columbia through providing support, education, and advocacy. Raw milk is legally available in many other nations including England, New Zealand, France, Italy, Germany, Norway, Sweden, Finland, and Denmark. Raw milk is legally available in 43 American states via retail and farm sales, buying clubs, and herdshares. Herdshares are legal under the laws of 12 American states (Alaska, Colorado, Connecticut, Idaho, Michigan, North Dakota, Ohio, Utah, Tennessee, Wyoming, West Virginia, and Washington) – including 9 states where sales are still illegal. They are freely operate without legal recognition in states such as California, Indiana, and Oregon. Raw milk is a mainstream product in many places. Example: Organic Pastures Dairy sells over a million gallons of raw milk every year in over 700 grocery stores in California. ​Evidence from up-to-date research shows that legalization will NOT result in increased outbreaks. The Raw Milk Institute’s Risk Analysis and Management Planning (RAMP) on-farm food safety system trains farmers in the production methods for clean, pathogen-free, low-risk fresh milk. The B.C. Herdshare Association provides free training in RAWMI’s RAMP system. Quantitative microbiological risk assessment studies prove that raw milk is a low-risk food. Pasteurization does not guarantee safety. Since 1966 in the U.S., pasteurized milk has caused 155 outbreaks resulting in 153,877 reported illnesses and 82 deaths. Agister training, bacterial testing standards, and on-farm food safety plans ensure product safety. What is legal and licensed in WA state is classed as a “health hazard” and illegal in B.C., with up to $3 million dollar fines or 3 years in jail – the only province in Canada to have this type of law. This law, which is now the “Public Health Act, Health Hazards Regulation”, was passed in 1988 without public consultation. The resulting, unregulated black market created by prohibition does not protect public health. In 2010, the Fraser Health Authority got a court injunction to prevent everyone in B.C. who is aware of this order from “distributing” or “packaging” raw milk -- even consumers in their own home kitchens! True herdshares are not "private buying clubs" or "herd-leasing" operations which violate Canadian laws banning sales. In a herdshare, a group of consumers legally owns livestock in order to enjoy the products from their animals. These livestock owners hire farmers to board and care for their animals. Herdshares can be legalized in Canada without changing the federal and provincial laws banning sales. Why can't we legally get raw milk in Canada? Canadians are being deprived of a traditional health-giving real food. Its use in fighting disease is well documented both scientifically and historically. We face an epidemic of chronic illness as never before seen, especially in children. Raw milk is part of the solution to this health crisis. It is well past time that our unfair raw milk laws be changed so that there is universal access to safe, clean and healing raw milk. ​Ask your MLA for their support and to ask Minister Dix on your behalf to change the law - that's their job. Tell them there is at least 10 years worth of evidence that they may not have seen -- evidence that shows that raw milk is undoubtedly a safe and healthy food that should be widely available to anyone in BC who chooses to consume it. what is so special about raw milk? ​Here's one of many accounts of the incredible role that raw milk can play in recovery from disease. Raw milk kefir can turn the tide on many very serious chronic illnesses, including Crohn's Disease. Canada has the highest rate of inflammatory bowel diseases (IBD) in the world. “You speak to some of the older doctors who have been practicing for 20 or 30 years, they almost never saw children under five (diagnosed),” says Dr. Eric Benchimol, a pediatric gastroenterologist at the Children's Hospital of Eastern Ontario, in Ottawa. “Now it’s almost a regular occurrence." Not good news, when the key to health lies in a healthy gut. Raw milk is a pivotal component of the GAPS gut healing protocol (Gut and Psychology Syndrome: Natural Treatment for Autism, ADD/ADHD, Dyslexia, Dyspraxia, Depression, Schizophrenia by Dr. Natasha Campbell-McBride). Check out this brilliant WAPF video about raw milk. The facts are great to know, and ​the music is lovely! The Eleventh Hour - Blog Article on the nutrient-dense Wise Traditions diet and why real foods like raw milk play such a pivotal role in achieving optimal health.